Get your shopping fix on your Apple TV with these great apps. 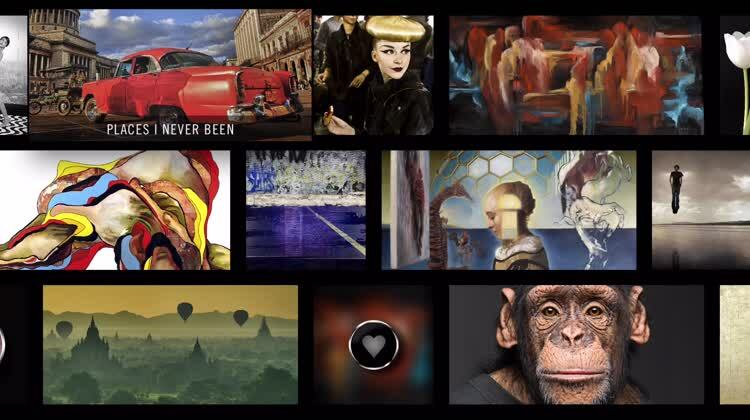 Loupe provides a streaming array of art from around the world. 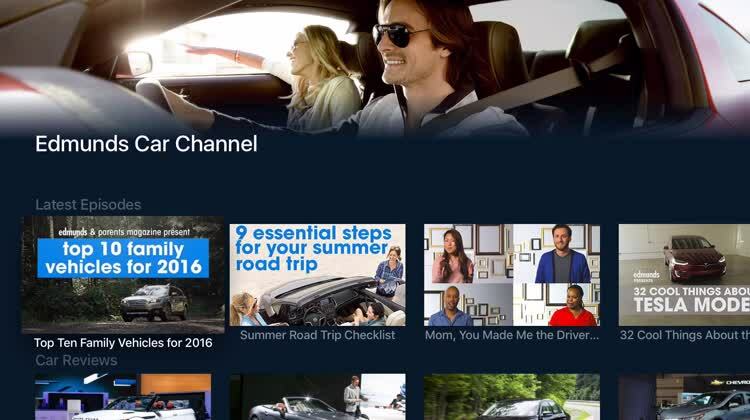 You can select to view a specific channel or category, assemble your favorites, or view a random collection. 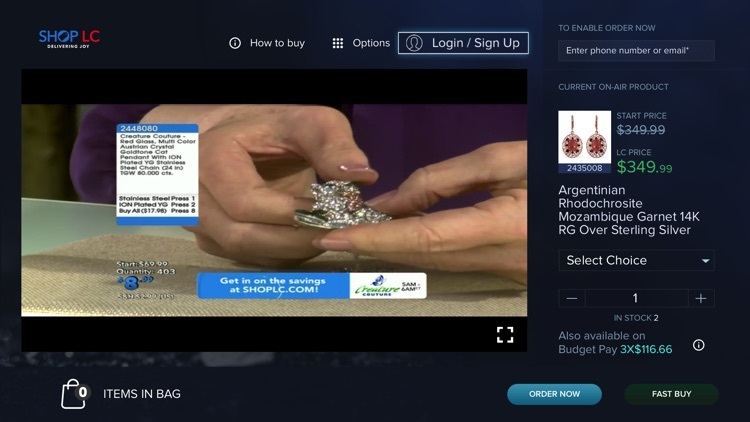 With QVC, you can watch, look and buy right through your Apple TV. 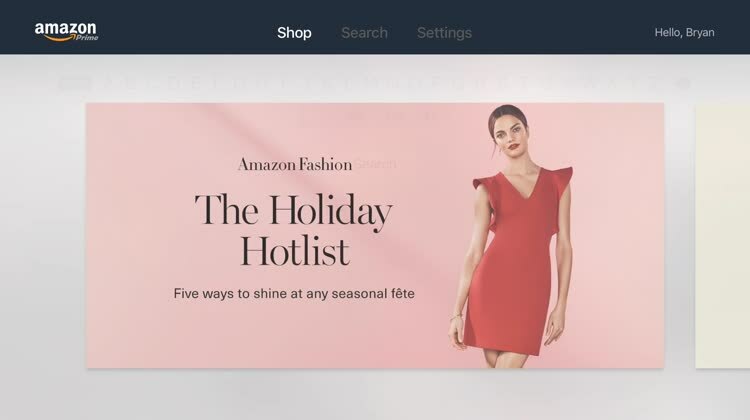 With the Amazon App, you can now shop for everything you want on your Apple TV. Browse the special sections, search, it's all there on the big screen. Enjoy everything you’ve come to love about Liquidation Channel, now available on your phone and tablet! Browse and shop your favorite exclusive LC brands and stay trendy on the go. Watch LC Live – Stream our live broadcast and join your favorite hosts as they present the deals you love. We make it easy to shop live! Find the hosts and shows you want to watch with our interactive Program Guide. Online Catalog – There’s never a line online! With new items added daily, browse, shop, and save on hundreds of items at the lowest prices. We love to help you save. Enable notifications to learn about new promotions, offers, and more! 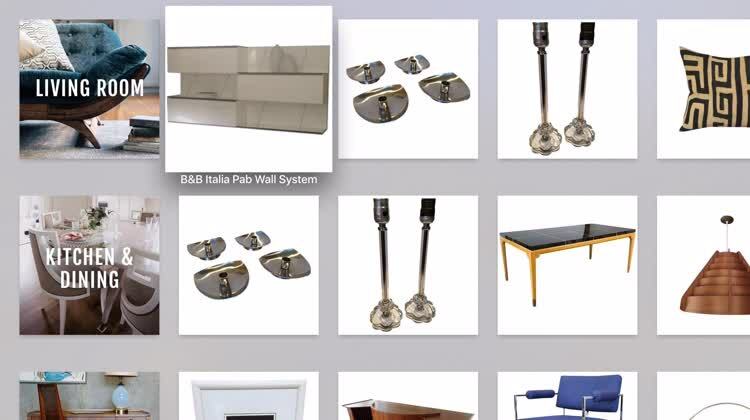 Rising Auctions – Effortlessly manage your Rising Auctions from the app! Never lose an item again when you opt for auction notifications. We’ll alert you when you win or are outbid! Customer Service – Have a question or concern? Reach out to our team directly! They’re here 24 hours a day, seven days a week and ready to help. Personal Shopper – Let our expert team of style specialists help you make that important purchase. Whether it’s a gift, or a little something for you, our Personal Shoppers are available 24/7! Cart Helper – Need to pick up your shopping spree later? 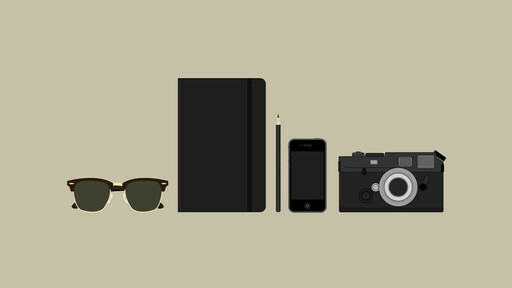 We understand that an on-the-go lifestyle can sometimes get hectic. We’ll send you a reminder of a full cart if you like. The power is in your hands! 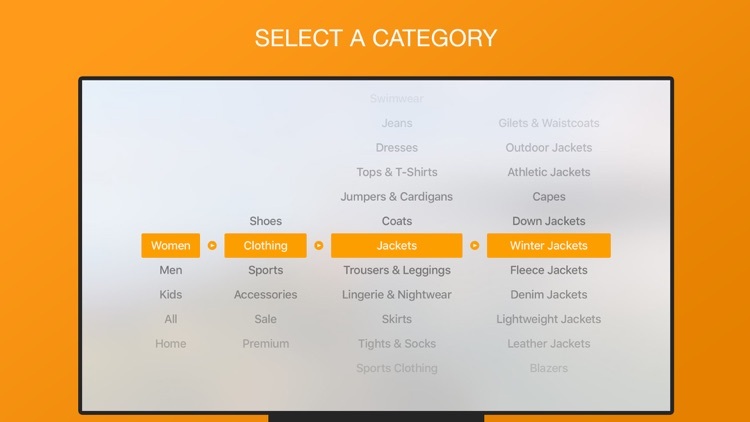 Mango goes well together with Apple as seen in this fashion-forward tvOS app. 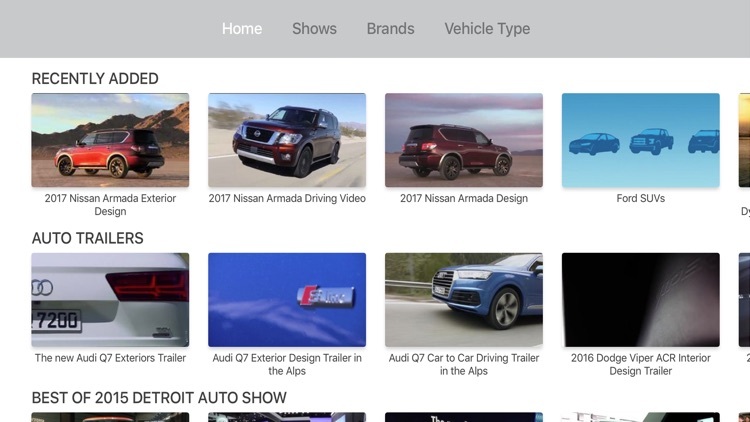 Edmunds – New & Used Cars Search for Apple TV provides channel episodes, reviews, comparison tests, how-tos, and buying tips for all you need in your vehicle search. Love shoe shopping? Then you’ll love Zappos! Browse our selection of footwear & fashion and buy shoes (clothes, bags, and accessories) and clothes on the go. Get free Next Business Day shipping when you order with the app! FREE shipping & returns - no purchase minimum! We’ve got everything to satisfy your shopping needs: from on-trend sneakers to stylish flats and comfy boots. In the mood for more shopping? Take a look at our clothing, bags & accessories, too. • Shop your favorite brands right here - Nike, Adidas, Converse, Clarks & many more! • Out of stock? We’ll notify you when they’re available again! • Not the right fit? Manage your returns with the app! 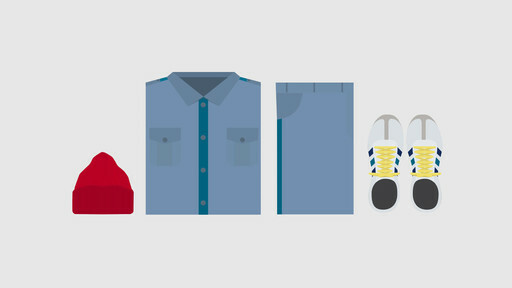 Download Zappos for easy shoe and clothes shopping. Experience our world-class customer service and features. Track your order on a map, manage your account and save your searches. We love hearing your ideas and making them come to life. Leave us a review and let us know yours! 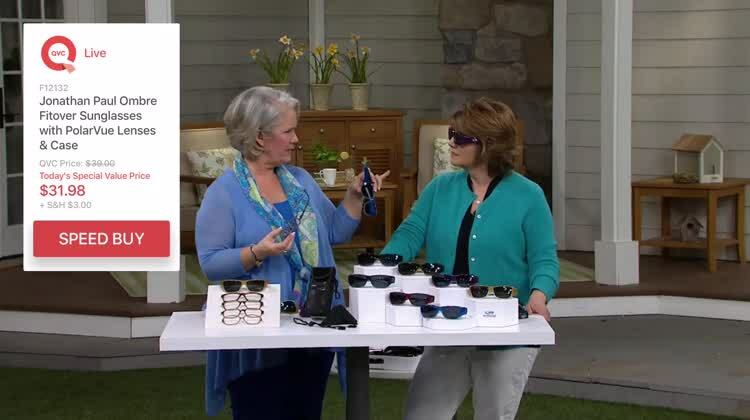 Watch HSN and shop the shows all from the comfort of your couch. Flower delivery is easy with the 1-800-Flowers.com iOS app! 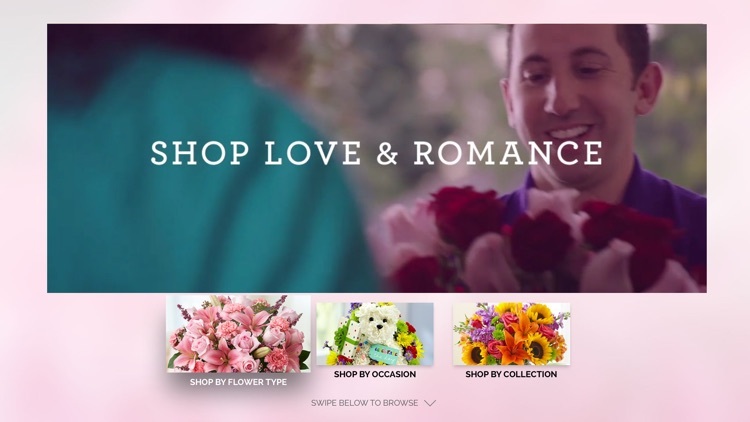 Send flowers, plants, and gifts anywhere or anytime while on the go in just a few easy clicks. From gorgeous flower arrangements and roses to gourmet cookies, chocolates, Fruit Bouquets, and many other gifts, there is something for everyone! With our same-day flower delivery and order tracking, you will never miss another important occasion! Whether sending flowers around the United States or around the world, we deliver gifts and smiles to 195 countries! + Birthday Flowers & Gifts: From birthday bears to same-day birthday flowers hand delivered by local florists, your special birthday boy or girl will love your birthday gift. + Special Occasion Gifts & Holiday Flowers: 1-800-Flowers.com has gift ideas for any holiday including but not limited to: Christmas, New Years, Hanukkah, Thanksgiving, Easter, Valentine’s Day, Mother’s Day, Father’s Day, and many other important occasions and holidays! + Sympathy Gifts & Funeral Flowers: Convey your deepest condolences during a difficult time by using our “White Glove” service to send funeral flowers or sympathy gifts to the home. + Anniversary Flowers & Gifts: Whether it’s a first anniversary or a golden one, you can help celebrate their (or your!) joyous occasion with romantic gifts to show you care. + Business Gifts: Corporate gifts are the perfect way to maintain business relations whether sending flowers or gourmet gift baskets for all employees to enjoy! Business Gift Hint: Sending a business gift before or after a meeting is totally classy. + International Gift Delivery: Send gifts and flowers to over 195 countries with international flower delivery that makes it easy to keep in touch, no matter the distance! + I’m Sorry Flowers: Nothing says “I’m Sorry” like flowers from the heart to show your sincerest apologies. + Last-Minute Gifts & Flower Arrangements: Need a gift today? No problem! Send same-day flowers, gift baskets, fruit baskets, balloons, and more, directly from your mobile device! + Just Because Gifts: Sometimes you don’t need a reason to send a smile, send one just because they’re awesome with our just because gifts and flowers that are sure to brighten anyone's day! + Love & Romantic Floral Gifts: Whether your sweetie lives with your or across the pond, send romantic flowers to shower them with flowers and love (in the form of cookies and chocolate)! + Thank You: When words are just not enough, show your appreciation and gratitude with a beautiful flower arrangement they will never forget! + Wedding Flowers & Gifts: Wedding flowers and wedding favors are easy to order online. Get ready for your special day with breathtaking bridal bouquets, centerpieces, corsages, and boutonnieres! + Exclusive offers for our app users! + Access to our full selection of truly original flowers & gifts! + Streamlined browsing & secure checkout! + Access to your account anytime, anywhere! For over 30 years 1-800-Flowers.com has been in the business of delivering smiles with flowers and gifts that are truly original. We know the importance of expressing your love, gratitude, sympathies and make sure that every order is delivered with a 100% smile guarantee. Our caring customer service team is ready to help you with your special delivery and welcomes feedback! The Jason Withers "Engagement & Wedding Rings" iPhone application allows users to request quotes through the "Enquire by email" function of the app. One of our expert jewellery consultants will then respond to the enquiry and assist the user with their query. All it takes is a simple iPhone enquiry to begin the design process and a breathtaking Jason Withers designer piece can be underway and within your hands in around just four weeks. We are confident that you will enjoy using the Jason Withers iPhone application and will look forward to the prospect of designing an exquisite piece of jewellery for you. 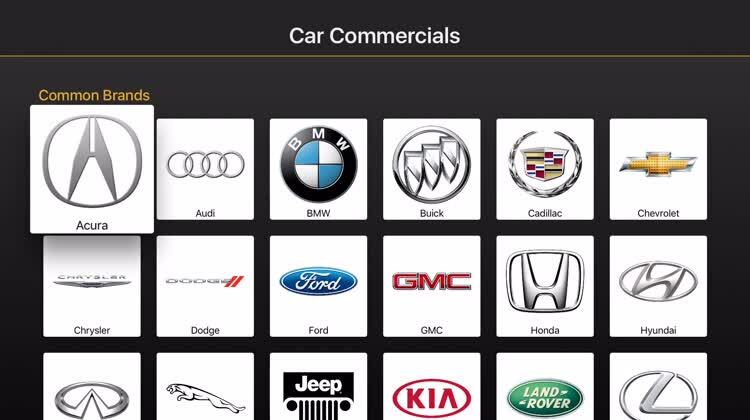 Car Commercials is a handy Apple TV app that allows you to view advertisements for common brands and exotic ones as well. From Acura to Rolls Royce, there are a variety of commercial options. 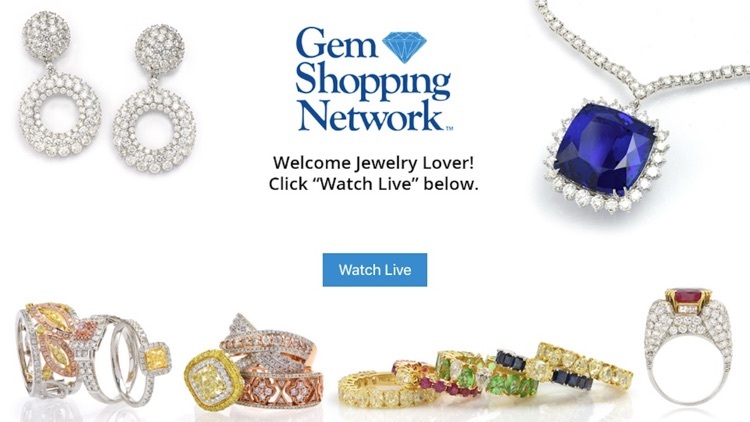 Watch the Gem Shopping Network 24/7 Live Stream. 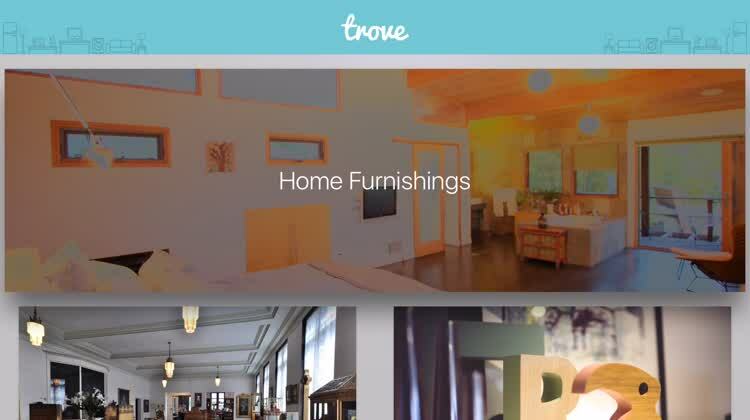 With Trove, you need not go far to be able to buy high-quality consignment furniture. Get ready for your daily dose of automotive trends, current events and reviews! 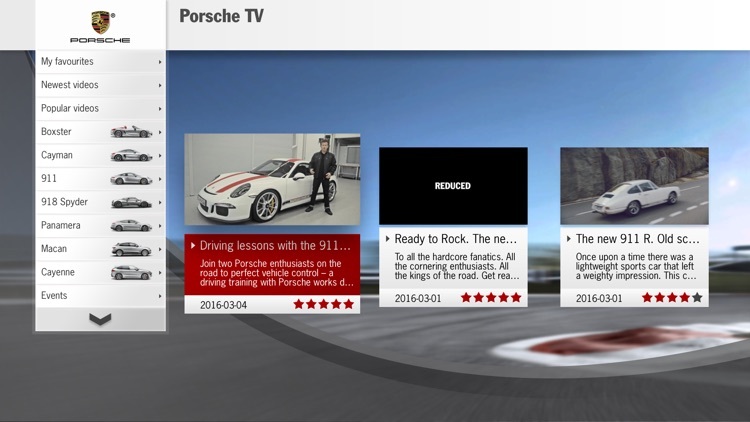 Experience the fascination of Porsche now on your TV. 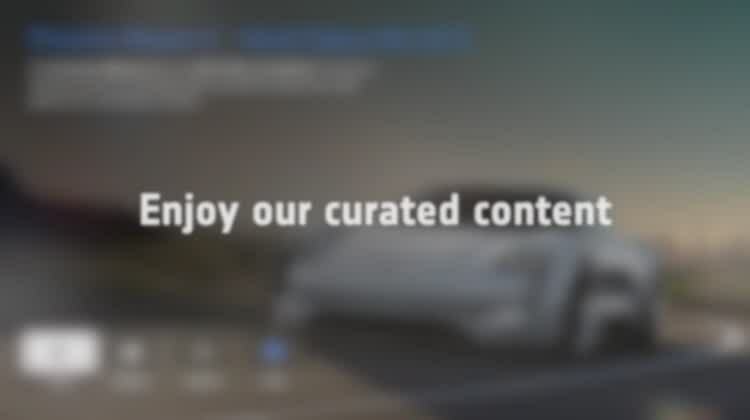 Enjoy exciting videos about our cars, Porsche Motorsport, Porsche Driving Experience, Porsche Classic and much more. Use the navigation bar or search function to search for videos. Define your own list of favourites and vote for your most favourite videos. At notonthehighstreet.com, we handpick the best creative businesses so you can find the most unique, extraordinary and never-seen-before products all in one place. There’s a lot to choose from – but our app makes it easy to find the perfect thing for people of all interests and tastes. 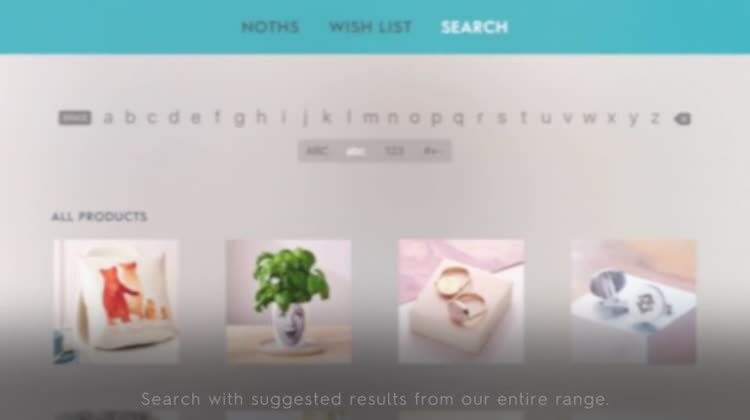 Search by department, find specific items, or save a gift idea in your favourites to come back to it later. Refine and Sort your search results to find the perfect product. Swish. • Want to jump in at the deep end? The app lets you browse all c.160,000 products on our site. • See something you like? Either buy through our Gift Finder app for iOS or click the heart icon to save it in your favourites. Requires Gift Finder app v2.2.7 or greater on an iPhone, iPad or iPod Touch. 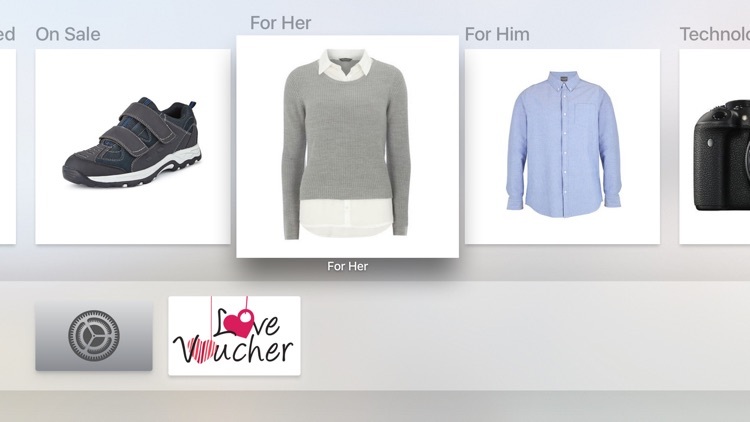 • Save your favourite products to buy later and have those favourites sync to the Gift Finder app via iCloud. Requires Gift Finder app v2.2.7 or greater on an iPhone, iPad or iPod Touch and a valid iCloud account configured on Apple TV. Looking for high-quality home decor and furniture? Chairish is here to help. 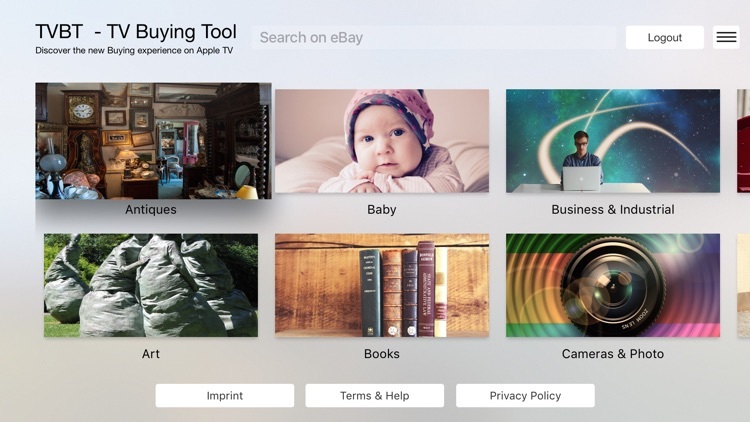 TVBT or "Television Buying Tool" is made to bring the shopping experience of famous marketplaces and their products on Apple TV. In the first version of application we start with the famous marketplace of eBay. 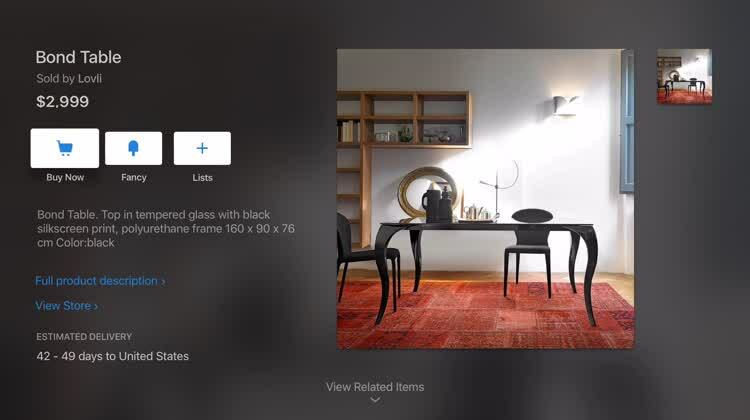 The app supports - with friendly permission of eBay - the most important functionalities like "Searching", "Bidding", "Category overview", "Watch list" and "Wish list". 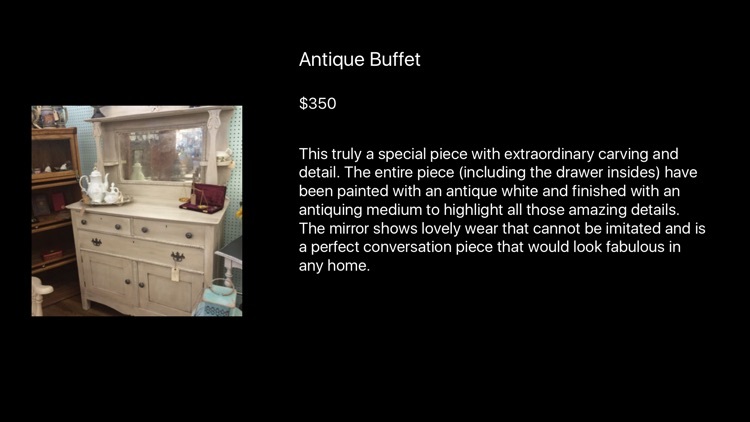 Discover the experience of the famous auctions directly on your TV set and see the product photos in great quality (depending on quality of source). "Buy Now" is not supported yet, due to limitations of Apple TV. Please take note that the purchases are made within the integrated marketplaces and that the general terms of the integrated marketplaces are relevant. Please send us your suggestions and inform us if you can recognize any problems. Thank you. Love shopping? How do you like to sit comfortably in your couch and tell your Apple TV what you want to shop and it will find items across your favourite UK Hight Street shops and Online retailers ? If you like the sound of that, then you must try Love Voucher TV App. Use our powerful search to find the item you are looking for and find the best prices quickly without having to visit individual merchant sites or Apps. If you find this app useful, please leave a review and help us spread the word. If you like to see something improved or a feature you like to see in the next version, please contact us at [email protected] We are just getting started ! Support for syncing your wish list across all your devices. So you can do your shopping research on the TV, add to your Wish List and complete the purchase on your iPad/iPhone/iMac ! Thank you for your patience. 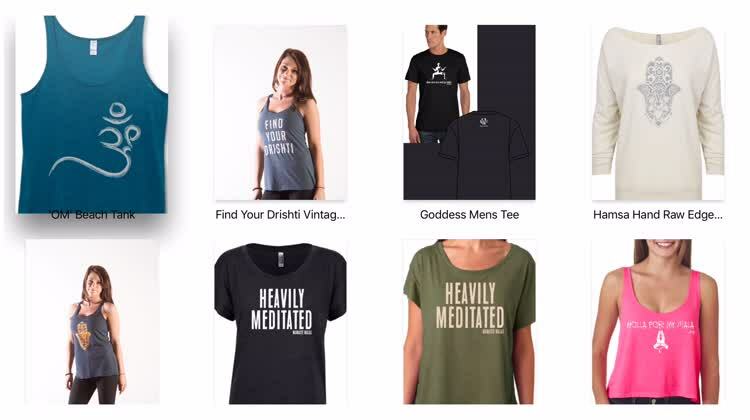 Yoga Apparel Shopping offers a selection of items for men, women, and children. Pick an item, choose the size and quantity, then just add it to your cart and buy. 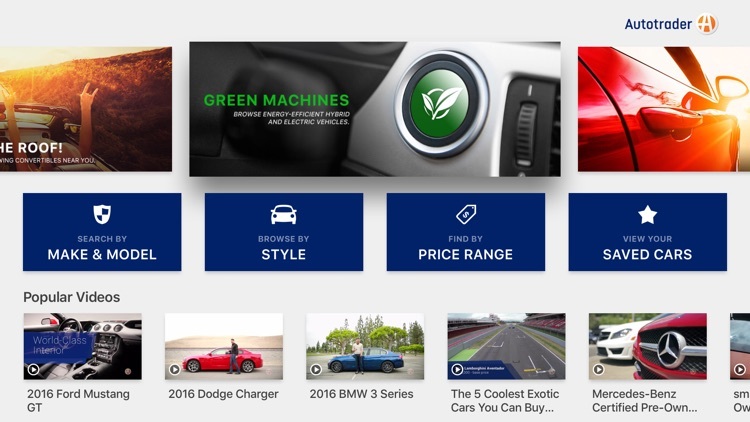 MobilityBlue curates and aggregates information about zero-emission vehicles, connected car & autonomous driving. Kiss the Future of eMobility and zero-emission vehicles! Experience feel-good shopping with Evine. 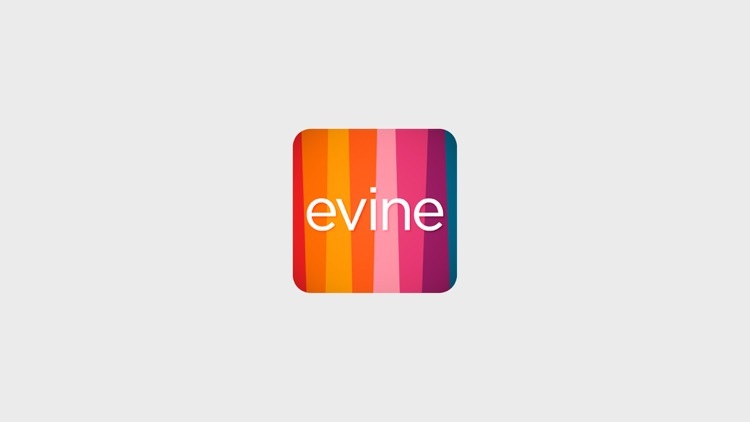 At Evine, we’re firm believers in being good to others as well as ourselves, which is why we work so hard to offer fun, functional and beautiful products you can feel good about – all at tremendous value that your wallet can feel good about too. Watch us live to laugh, learn and discover our outstanding brand partners, amazing designers, and energetic personalities we know you’re going to love. Then, shop what you like from our carefully curated collections of jewelry, watches, beauty, fashion, kitchen, home goods, electronics, tech gear and more. 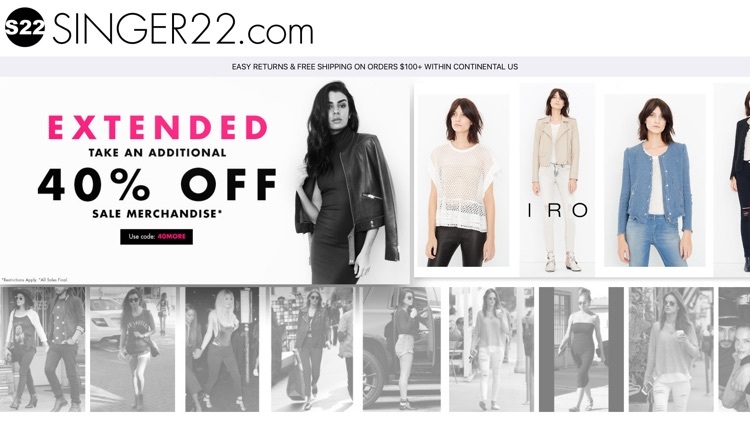 Now you can shop on the go for the latest in women's and men's fashion from SINGER22.com from the convenience of your iPad/iPhone. Using your iPad/iPhone, you can easily browse through the large assortment of the hottest brands featured on SINGER22, make your choice, and have your order placed in a matter of minutes. 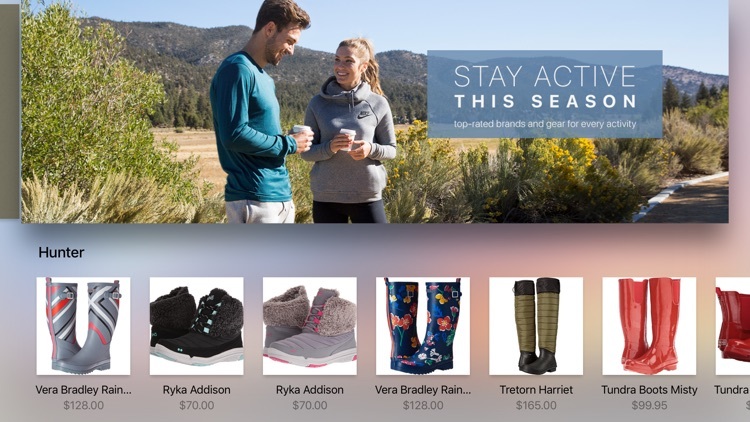 SINGER22.com is always striving to take the shopping experience to the next level, this is why we are so proud to offer our customers this easy to use app. More is on the way! 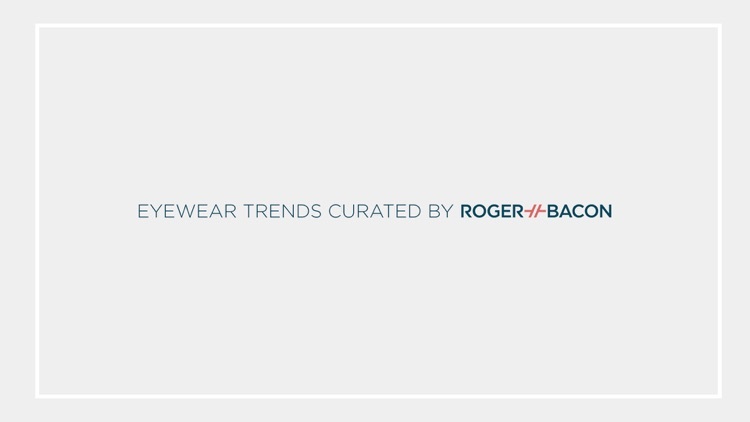 Get inspired by a carefully curated eyewear collection by Roger Bacon. We'll find and follow the latest trends so you don't have to. Our gallery is designed to bring eyewear to your living room and make it a little art gallery. 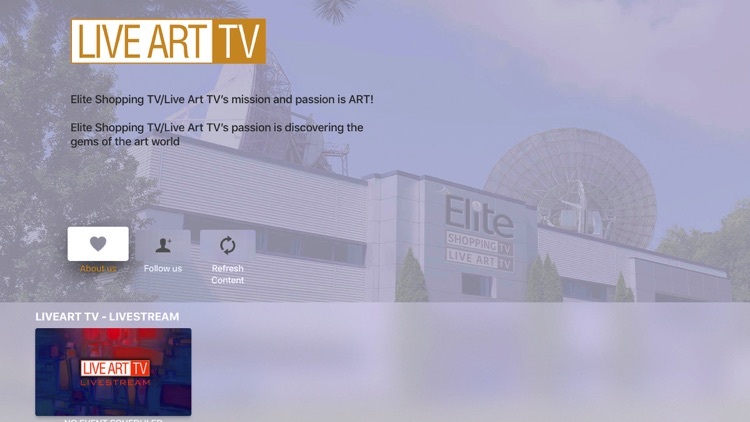 In 2003, parent company Elite Shopping TV was created and began broadcasting in Milan, Italy, presenting a wide range of Italian and European works of modern art, jewelry, antique collections, and branded wrist watches. After fifteen wonderful years of success and experience, the time had come to expand our focus to a more global scale, thus Live Art TV was conceived in the United States. 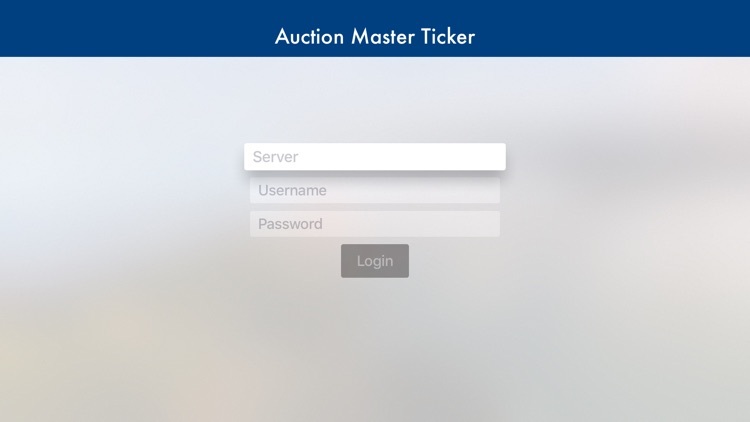 The Auction Master Ticker app is free and intended for existing Auction Master customers. 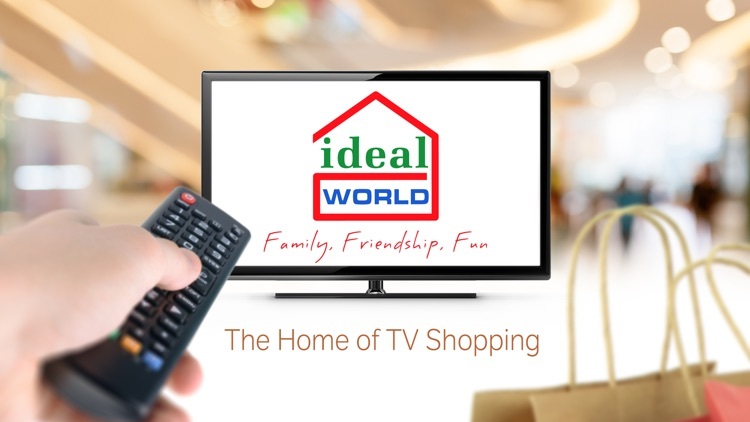 Ideal World is part of Ideal Shopping Direct Limited, one of the UK's leading multi-channel home shopping retailers, selling via both our TV channels and our website. Watch live TV and 7 day catchup.